For a team that's been successful while caught up in various controversies for more than a decade, the Patriots are hell on reporters. Barely a decent quote to be found. Lineman-turned-analyst Ross Tucker, who played two years in New England, says it all starts with Bill Belichick. On any other team, the Aaron Hernandez case and Tim Tebow's introduction would be two rings of a circus. (Imagine if this were the Jets!) But as Patriots camp opens, no one's spoken out of school, no anonymous quotes have emerged, and reporters are lining up to tell you just how professional everyone has been. It's the same story every year, and it's no coincidence, Tucker writes. "Unlike any other team or coach I played for, Belichick actually prepares the players for the media in team meetings," 15-year veteran and three-time Pro Bowler Chad Brown confirmed to me recently. "He's almost a media coach as well as a football coach." He's right, and it was both intriguing and impressive to watch the process as a player. 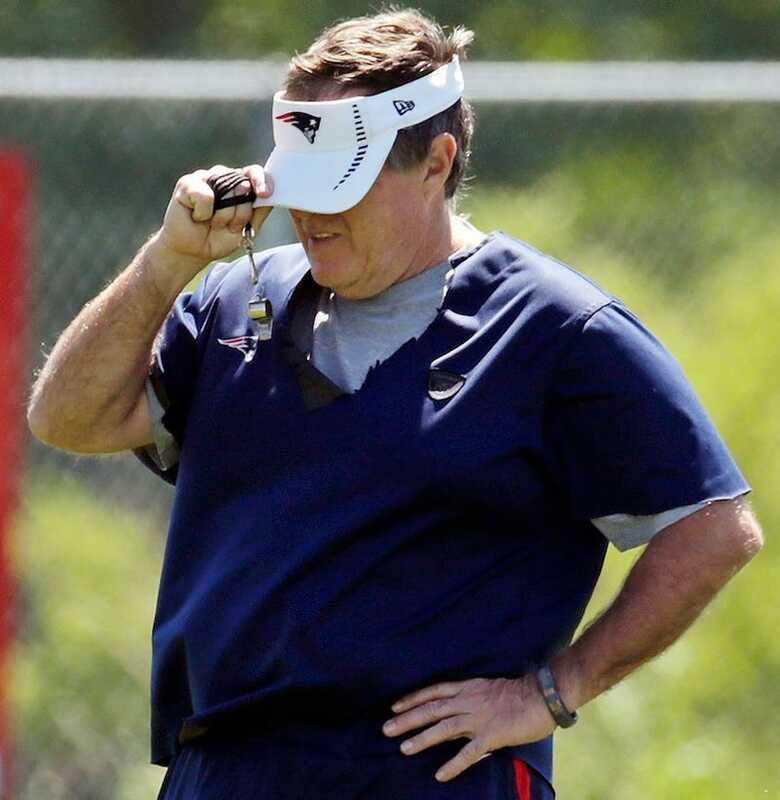 Belichick would start the morning on the treadmill reading all of the "clips" for the day and highlighting certain things he found interesting. The "clips" are a compilation of everything written about his squad that day. Jacksonville playing in a cold playoff game in Foxborough? "Weather is not a factor." Jimmy Smith nursing an injury? "He'll be there." Pressure going for a third straight Super Bowl title? "New team, new season, and last two years mean nothing. All that matters is this week and focusing on this game." And it works! In Tom Brady's first media availability yesterday, he was grilled about dealing with one of his favorite targets staring down life in prison. He said nothing. He offered empty platitudes. He didn't give a single quote worth writing about, so instead the local media writes it up as another instance of the Patriot Way. The Globe's headline? "Amid questions, Tom Brady stands as a reminder of what's right with the Patriots." It's good to set the bar low. After years of expecting nothing and getting it, reporters treated Belichick's wholly unremarkable prepared statement like it was Lincoln's Cooper Union speech. But what's most striking isn't the simplicity or effectiveness of the Patriots' crisis management—it's that other teams can't figure out how easily the media can be broken.